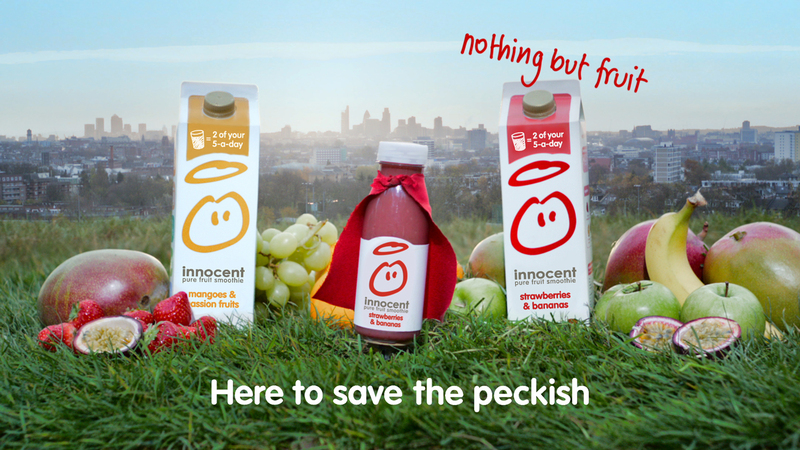 British fruit smoothie brand Innocent is being championed in the UK by a caped superhero who is here to save the peckish. The integrated campaign, including television, print and online work, aims to show how Innocent smoothies are a tasty way to be healthy when you’re feeling peckish, saving consumers from unhealthy snacking at a time of year when people are trying to work off the excess from Christmas and improve their diets. The TV ads are set to Queen’s “Flash Gordon”. 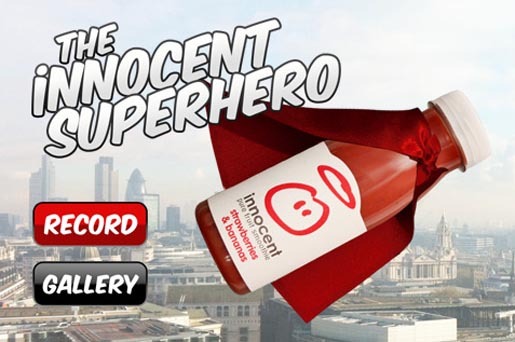 Fans are now invited to enter the Innocent Mini Movies Competition on YouTube, making a sequel to the Superhero ad. 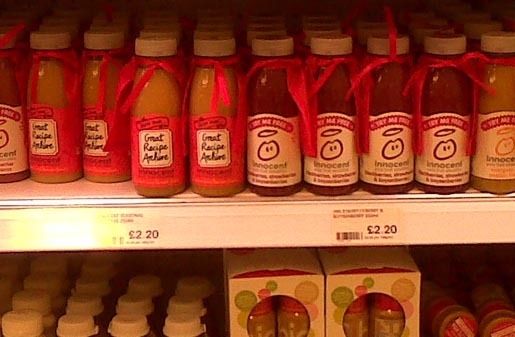 The TV, poster and digital campaign is supported by a dedicated website, i-phone application, on-pack and in-store activity (caped bottles). The Superhero campaign was developed at RKCR/Y&R by creative director Damon Collins, copywriter Kimberley Hutcheson, art director Joe Fitzgerald, planner Lori Meakin, agency producer Jennifer Fewster, digital producer Amy Torbett, board account director Kate Uniowski, account director Sophie Ford-Masters, account manager Jane Redfern, account executive Tess Gammell, working with Innocent CEO and brand director Richard Reed. Media was managed at Vizeum by media planner Iwona Lukaszewicz. Filming was shot by director Ben Wheatley via Blink with producer Claire Jones. Editor was Frank Harris via Big Buoy TV. Sound was produced at Factory Studios by Sam Robson. Music was recorded at The Works.